The Silent Film Society of Chicago just announced its 2011 Silent Summer Film Festival, one of our favorite summertime traditions. Running for six Fridays at 8 PM from July 22 to Aug. 26 at the Portage Theater, this year’s festival brings a great cross-section of classic silent films to the big screen. July 22: A Girl in Every Port (1928) starring Louise Brooks, with organ accompaniment by Jay Warren. Pre-show music provided by Renee Baker and The Chicago Modern Orchestra Project. July 29: Why Change Your Wife? (1920) with Gloria Swanson. Organ accompaniment by Tim Baker. August 5: Heart O’ The Hills (1919) with Mary Pickford. Organ accompaniment by Jay Warren. August 12: Sunrise (1927) directed by F. W. Murnau. Special event night! Live photoplay accompaniment by the Mont Alto Motion Picture Orchestra. August 19: The Cardboard Lover (1928) with Marion Davies. Organ accompaniment by Tim Baker. 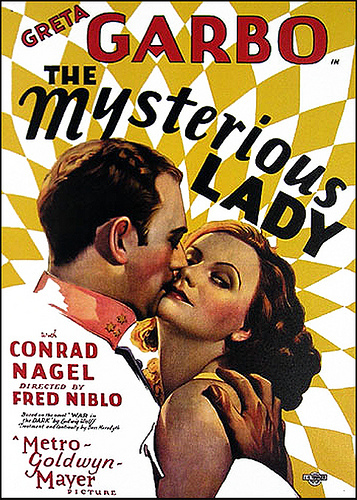 August 26: The Mysterious Lady (1928) with Greta Garbo. Organ accompaniment by Jay Warren, with pre-show music by the Rajiv Halim Sextet with vocalist Linda Collins. Complete details and ordering information are available at the Silent Film Society of Chicago’s website.